You can write a message to someone you love and seconds later they can be reading it on the other side of the world. A three course meal can be prepared and put on a tray in front of you while you're flying through the air. That mad dream you had about your cat last night was pretty cool. You know what else? Fab lollies. They're amazing. So are your new shoes. Everything is amazing. When you think about the world, even the most simple things are pretty cool. Things we see every single day are amazing. You probably see amazing things even on your way to work. That cute guy on the escalator totally counts. This Chrissie Abbott mug is pretty amazing too. It's £20 from Jaguar Shoes. 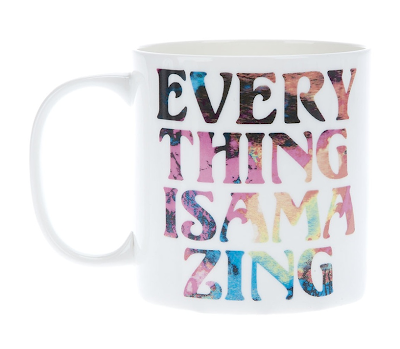 A cup of tea in this mug in the morning would be the perfect way to start an amazing day. 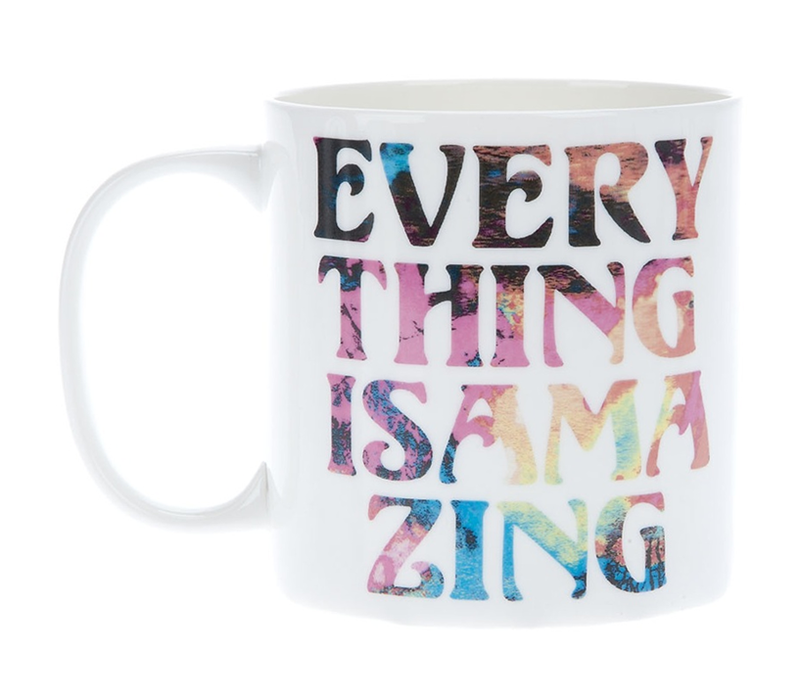 The mug is gorgeous, but what is AMAZING is that people are willing to pay £20 for it.